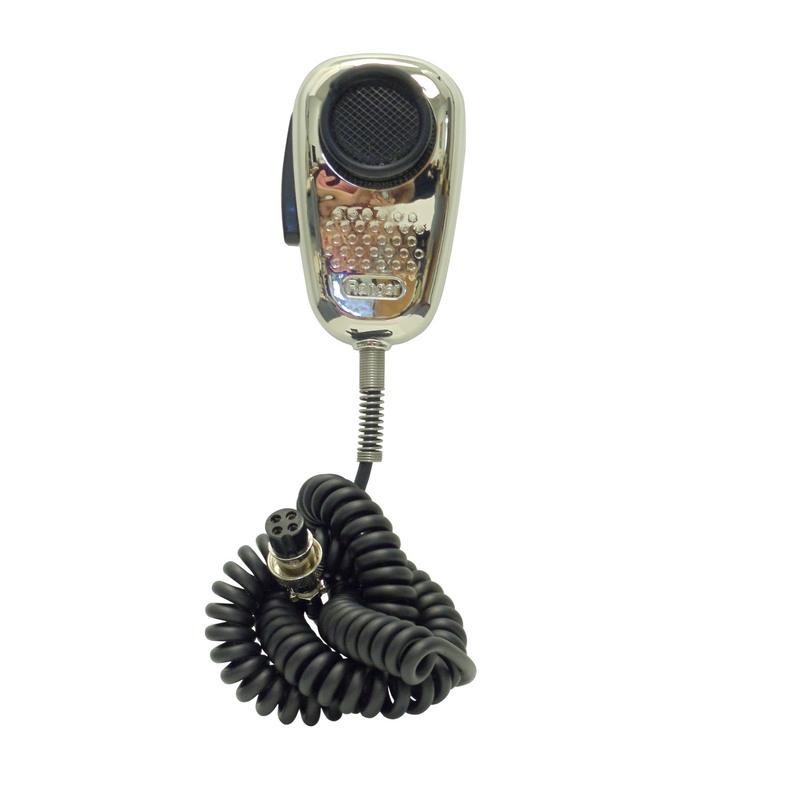 The Ranger SRA-198C noise cancelling microphone features a sturdy chrome housing and black mesh screen with lip bar and an extra long cord with strain relief. Designed to filter out un-wanted background noise so it is perfect for trucks, construction applications or in any loud enviornment. Wired 4 pin standard, fits most CB & 10 meter radios (Cobra, Uniden, Connex, Galaxy, Stryker, Magnum, RCI). The extra durable mic button back has an open loop which enables additional mounting options. Comes in brown box.